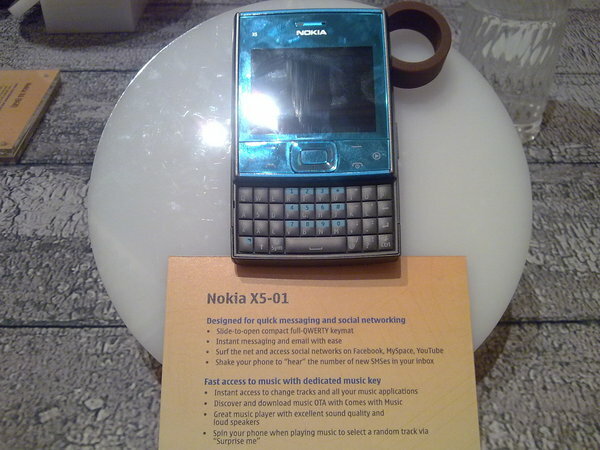 Today at Nokia Connection in Singapore, one of the new faces that have added on the Nokia Xseries lists is the X5-01. 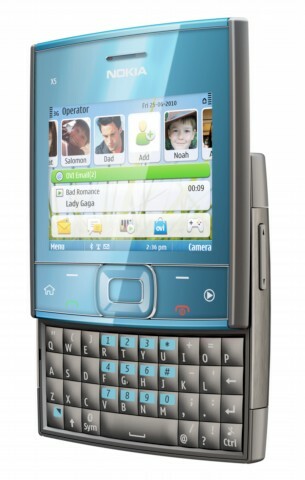 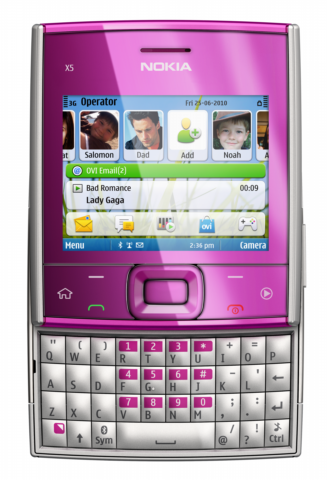 A four row slide-to-open qwerty running on Symbian S60 3rd edition, with wide selection of colors (official photos of Nokia X5-01 are Blue, Pink, Green, & later for Black) and especially built & designed for quick messaging and social networking. 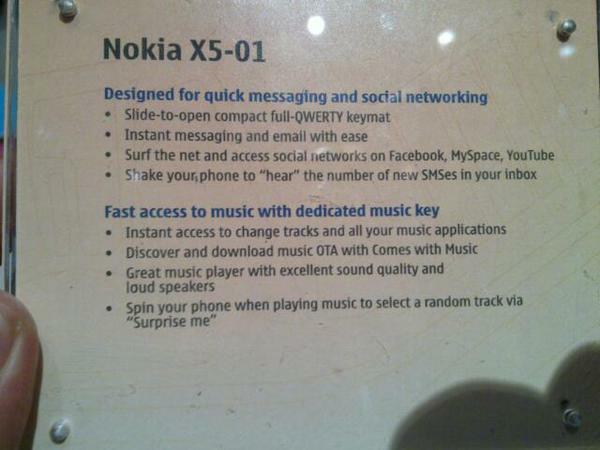 Another new twist to the phone is its Music features like Comes With Music (some countries may vary), “Surprise Me” feature will you will need to spin your phone to change to random tracks when playing music. 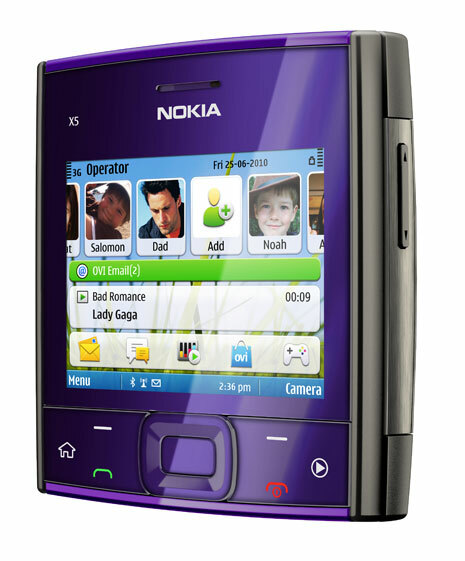 Nokia X5-01 price would be around 160 Euros. 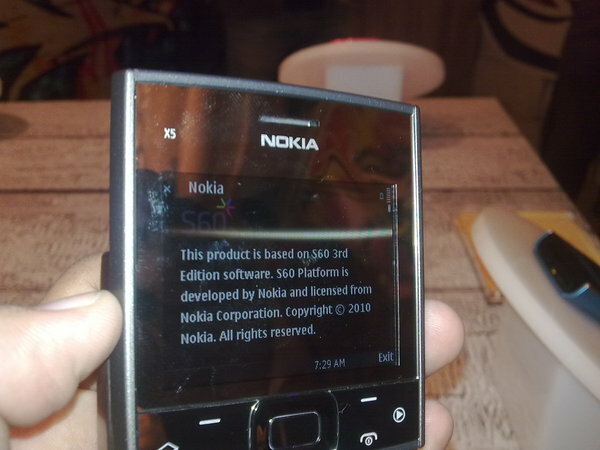 Specs and features of Nokia X5-01: 5MP camera with LED flash, internal storage of 200MB, external microSD card (2GB included and can support 32GB), 16days of standby and 24 hours of music playback. 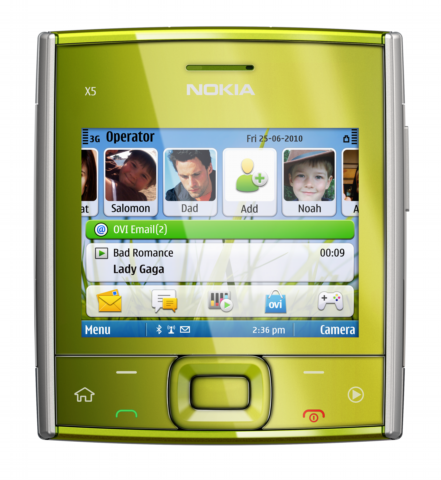 hey dats my mob only…..
Hi just wondering who i can purchase the Green Nokia X5?